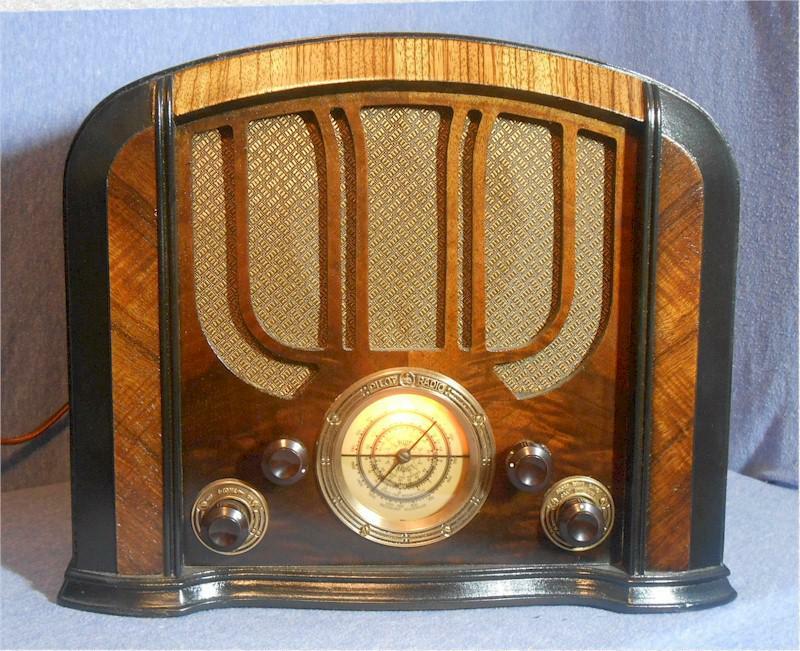 This vintage rare 1935 Pilot tabletop radio with attractive dial, rounded top & corners and wonderful walnut grains is a gorgeous radio. It is a six-tube Superheterodyne, covering 550KC to 18.5MC in three bands. The dial lights three ways, top and bottom, top only, bottom only, depending on which band is selected. I can email pics if you would like to see that. It has been electrically restored and plays great on all bands. The finish was restored with clear and toned lacquers; it also has new grille cloth. It works very well with a short wire antenna. It is much nicer than the similar model 423 that I sold in 2009. To my knowledge model 123 has never appeared on the Radio Attic, which reflects the rareness. An aux input cable can be added for no cost: play your favorite tunes or old time radio shows from CD player, iPod, etc. With the cable installed, a Bluetooth receiver can be used and you can stream tunes from your phone, laptop, etc. It is an extremely attractive table model and would be a super addition to any collection! 15"W x 12"H x 9"D, shipped weight 25 pounds.